On Saturday April 5th, Atlanta’s 5th Annual Beer Carnival is returning to Atlantic Station! 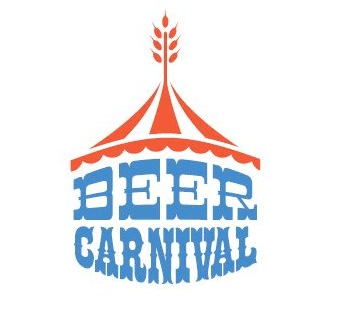 Taking place at Atlantic Station’s Special Event’s Area, the festival’s early spring date and 1pm starting time is a great opportunity browse what the carnival has to offer while you sample a wide assortment of beers. The festival features more than 100 different types of beer including traditional favorites and premium craft beers, and will highlight an assortment of holiday brews to keep you in the winter spirit! Several of Atlanta’s best food trucks and vendors will be serving their specialties to keep your appetite satisfied, and a variety of carnival games will provide entertainment for everyone in attendance! If you just can’t wait until 1pm to get in, our VIP tickets allow early entry at 12pm and access to an exclusive VIP area, featuring samples of premium beers sure to delight any beer connoisseur, and VIP restrooms. This year’s beer festival is shaping up to be the best one yet! General Admission tickets are $40, and VIP tickets are $65, and can be purchased through our new and easy to use ticketing platform, Fresh Tix. Mark your calendars, this is an event you don’t want to miss! TA Live Weekend Picks: 30A Songwriters Festival, Rebirth Brass Band and More!